After several years of frequent globetrotting — spending as much as six months out of the year on the road — I’ve discovered a number of products that transformed the way I travel. Sure, you can make almost anything in a travel-friendly size. But these products are the game changers: items that have made packing easier and improved my travels. Some of them have saved me money. Others are even saving the planet. From dry shampoo that won’t leak in your luggage to the only travel charger you need in your suitcase, these are the 10 items I simply won’t leave home without. Life-Changing For: Travelers with too many liquid toiletries. I still mourn the days when you could bring giant bottles of SPF 30 to Florida in your carry-on luggage. For many travelers (ladies, I’m talking to you), fitting all your liquids into a small baggie simply doesn’t seem feasible. Discovering the LUSH shampoo bar was a revelation. A small, solid bar that can be used for up to 80 washes, it not only smells divine (think: juniper and lavender, or sugary honey and bergamot), but it also leaves my hair shiny and voluminous. That’s much more than I can say for most hotel hair products. 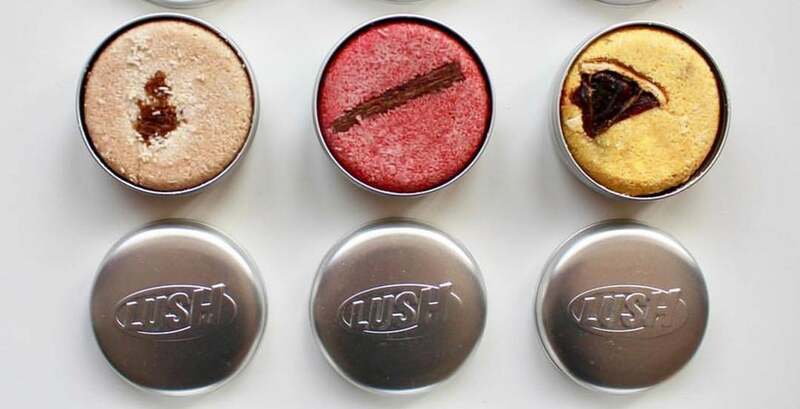 The shampoo bars can also double as body wash in a pinch, freeing up yet more space in your little Ziplock. LUSH even has a handful of conditioner bars, too. Before heading to South America to backpack for six weeks, my husband and I agreed to leave our heirloom wedding rings at home. As active travelers, we love to dive, swim, snorkel, hike, surf, rock climb and more. Diamonds aren’t really appropriate for those hobbies, and many of the guest houses and boutique hotels we stayed at didn’t have safes to secure our valuables. That’s when we discovered QALO Rings, which allowed us to leave our fancy rings at home while still expressing our commitment. 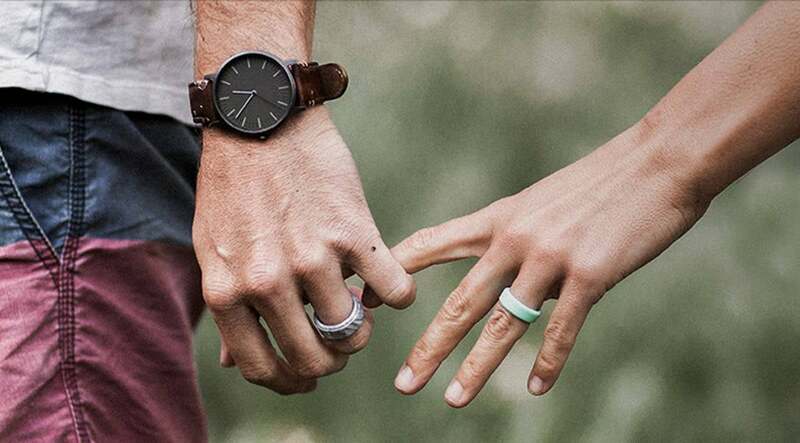 QALO stands for Quality, Athletics, Love and Outdoors: perfect for adventurous couples who don’t want to altogether part with the symbolic accessory. These silicone bands turned out to also be way more comfortable than traditional metal rings when our fingers swelled up on the airplane. Plus, with an affordable price point, it’s not the end of the world if it slips down the bathroom sink at your hotel or you lose it in the airport. Life-Changing For: Travelers who don’t want to break their fitness routine. Let’s face it: Working out while on the road is tough. While I often try to visit a local yoga studio or hit the hotel gym, it doesn’t always happen. But if you travel with a small, stretchy exercise band that can be easily slipped into your suitcase, it’s a lot easier to get even 10 minutes of strength training, so you don’t feel so terrible indulging in that New York cheesecake or French charcuterie board. Travelers who already have a hotel room exercise regimen in place can take their workout to the next level with these bands, using them to increase the difficulty of side plank push-ups and classic leg lifts. Resistance bands can also be used for stretching after a long flight spent origami-style in economy. Life-Changing For: Chronic overpackers or carry-on only travelers. When someone first suggested I try packing cubes, I rolled my eyes. “For novice travelers,” I proclaimed. Then I tried them. And I take it back! 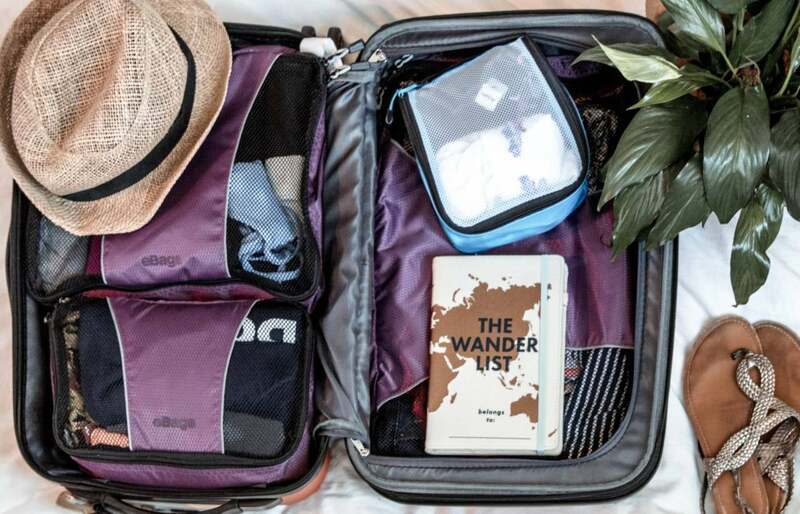 As someone who doesn’t always have time to fully unpack when spending just a night or two in a different city, being able to take out packing cubes and easily find what I need is a big time saver. The trick is to carefully pack each Eagle Creek Specter Tech Packing Cube beforehand, so you won’t have to rummage too much later. I like to separate garments into cubes — bottoms in one, shirts in another. The compression zip cubes are ideal for dirty laundry: a huge space saver, especially if you’re only traveling with a carry-on suitcase. It’s also a great way to isolate shoes, and I even use one for all my cords, small electronics and power adapters. Before, these items would simply disappear into everything else in my suitcase. Life-Changing For: Travelers who spend a lot of time on their feet. I have a special bag I travel with that can deal with any ailment: a custom first aid kit with Ibuprofen, Benadryl, Imodium, Cortisone cream, antibiotic ointment, travel antibiotics and more. While I used to keep an assortment of bandages in there, I recently added Compeed to the stash. These small patches are designed to treat and prevent blisters. They’re lifesaving when you spend long days walking or hiking. 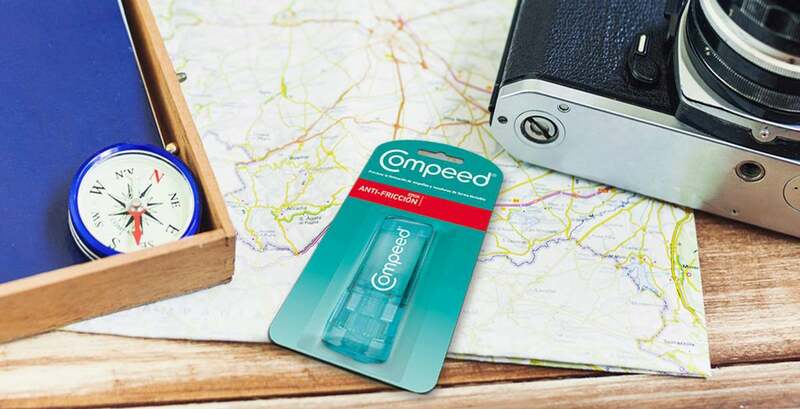 Easily found in pharmacies and stores in the US, they can be more difficult to locate in Europe, South America and Asia, so make sure to bring a stockpile if you plan to spend a lot of your trip on your feet. Life-Changing For: Insomniacs and travelers with serious jet lag. Frequent flyers should be accustomed to sleeping on planes and adjusting to new time zones. But I deal with insomnia when traveling, and it takes me forever to acclimate to a new time zone. So I have an arsenal of items including eye masks, earplugs, neck pillows, noise-canceling headphones, Melatonin, Ambien and more to help. The roll-on application keeps the bottle from getting messy, and allows me to apply the oil to pressure points like the wrist and behind the ears. If nothing else, the smell is instantly relaxing. Life-Changing For: Tech-reliant travelers and unforeseen travel disruptions. 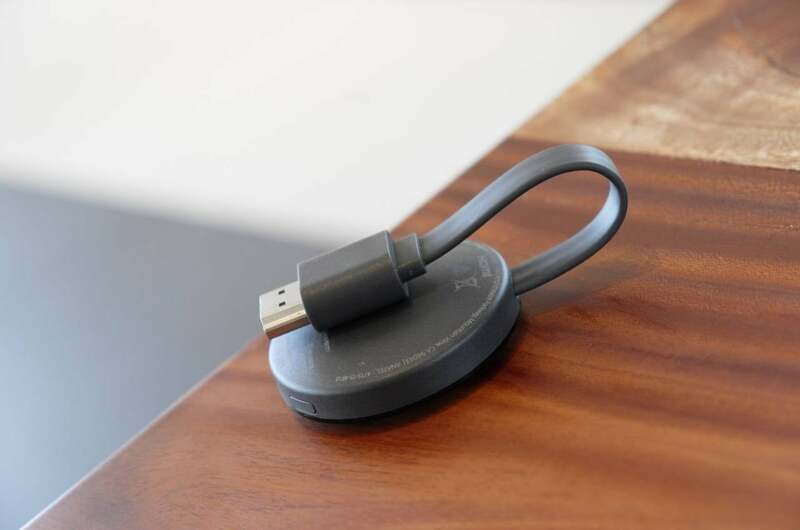 Chromecast is a small, lightweight device you can stash in your carry-on bag that plugs into almost any television, allowing you to sync your phone, tablet or laptop to the TV. With it, you can stream Netflix, check out vacation photos, play music and more using the TV, rather than your tiny phone. While you may not want to waste away your vacation inside binge-watching “Homeland” in your hotel room, this can also be a lifesaver during an unexpected interruption to your travel plans, such as a tropical storm or stomach virus that leaves you stuck indoors. 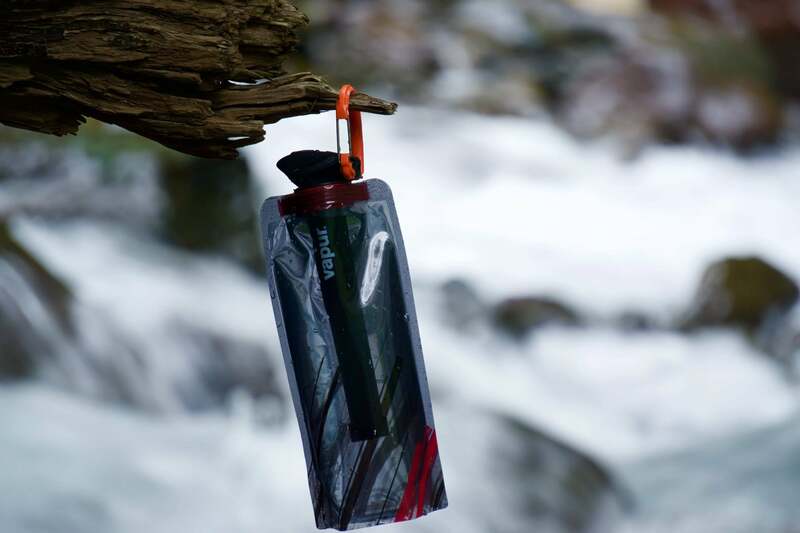 While I still use my S’well bottle at home, Vapur is my go-to travel water bottle. Sure, any reusable water bottle will prevent you from needlessly sending plastic bottles to local landfills. But this flexible vessel folds, rolls and can be easily flattened when empty, saving space in your bag until you’re ready to fill it with water. And according to Vapur, these bottles are nearly 90% lighter than your typical bottle. Good for the planet, good for you (BPA-free) and good for keeping your bags manageable — not bad for a bottle! While there are a million tech gadgets I can’t live without when I travel (noise-canceling headphones, a portable power bank, an adapter), the game changer was the RAVPower charging station with a single outlet and multiple USB ports that I bring on every trip. With it, I can charge several items in the trio of USB ports at the same time I power up my computer with the main plug. This means I only need a single travel adapter when abroad — and when I’m traveling with my husband, a family member or friend, they are always thrilled to plug in their electronics, too. This item is especially useful in hotels that simply don’t have enough outlets, or in foreign destinations that require adapters and converters. It’s also small, compact and lightweight enough to fit in my carry-on suitcase or purse. Sure, selfie sticks are all the rage. But I’m a much bigger fan of the Xenvo SquidGrip mini tripod. Yes, this requires a bit more thought than a spontaneous selfie, but your photos turn out way better — especially if you’re traveling alone. 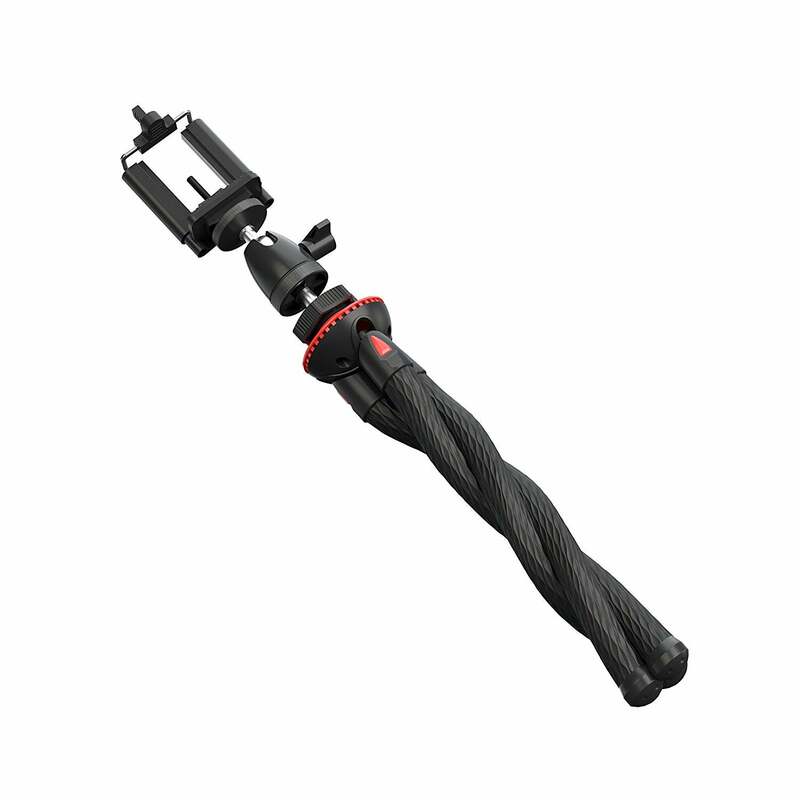 Compatible with smartphones, GoPros and small reflex cameras, the Xenvo tripod easily folds up and fits inside a purse or backpack. The bendable legs can be manipulated to use as a traditional tripod, or wrapped around an object (think: bicycle handlebar or hotel balcony). You can even use it as a selfie stick, though it doesn’t extend, providing much more, er, flexibility, when deciding what kind of memory you’d like to create during your travels. Do you have any items that changed the way you pack or travel for the better? Sound off below! Featured photo by Fancycrave on Unsplash.